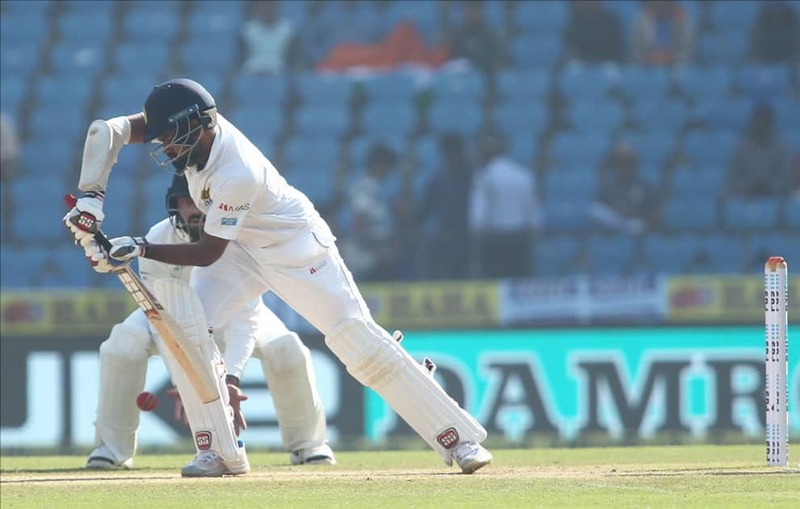 Lahiru Thirimanne of Sri Lanka in action on Day 4 of the second test match between India and Sri Lanka at Vidarbha Cricket Association Stadium in Nagpur. 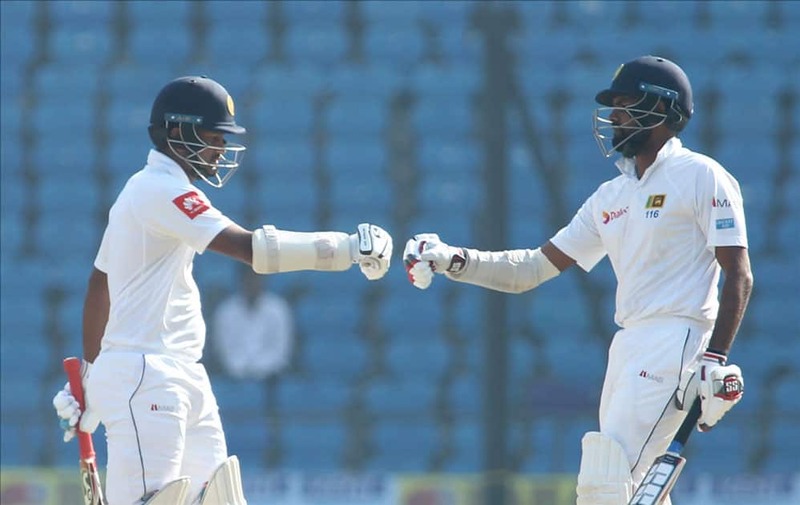 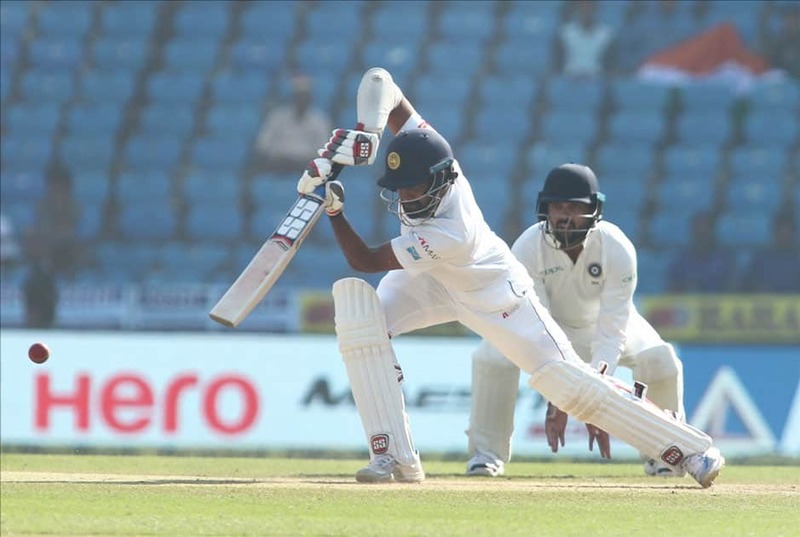 Dimuth Karunaratne and Lahiru Thirimanne of Sri Lanka in action on Day 4 of the second test match between India and Sri Lanka at Vidarbha Cricket Association Stadium in Nagpur. 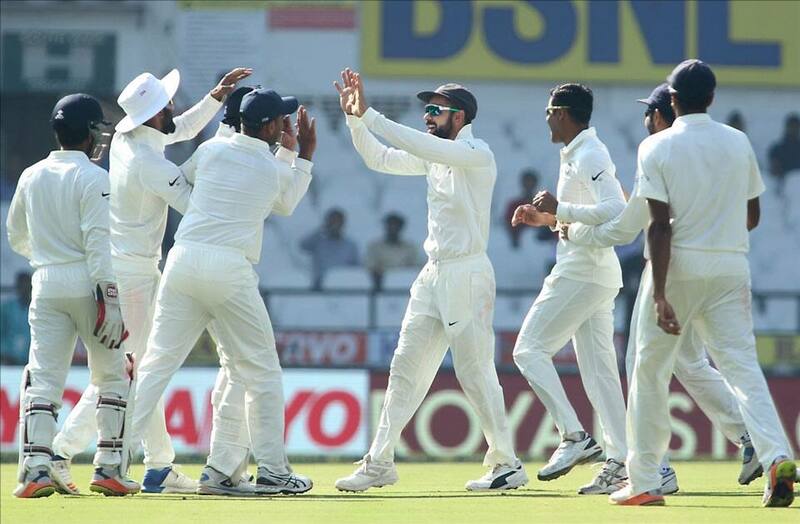 Indian captain Virat Kohli celebrates fall of Dimuth Karunaratne`s wicket with his teammates on Day 4 of the second test match between India and Sri Lanka at Vidarbha Cricket Association Stadium in Nagpur. 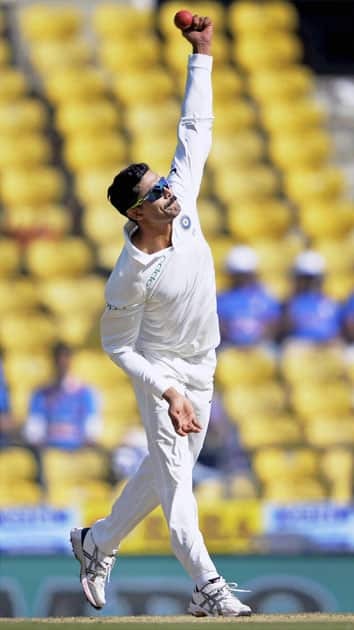 Indian bowler Ravindra Jadeja bowls during the 2nd cricket test match played in Nagpur. 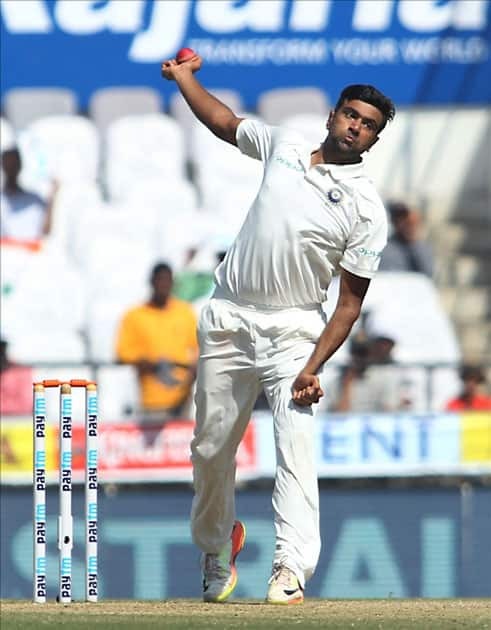 India's Ravichandran Ashwin in action on Day 4 of the second test match between India and Sri Lanka at Vidarbha Cricket Association Stadium in Nagpur. 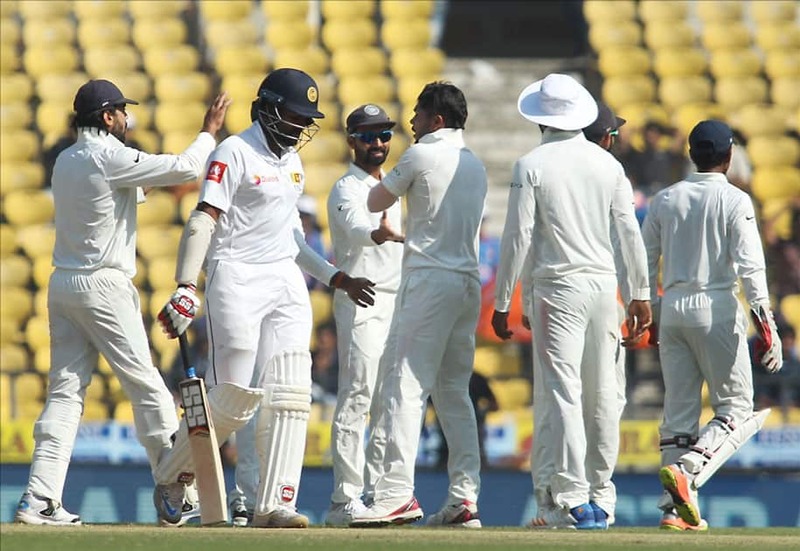 Indian captain Virat Kohli celebrates fall of Lahiru Thirimanne's wicket on Day 4 of the second test match between India and Sri Lanka at Vidarbha Cricket Association Stadium in Nagpur. 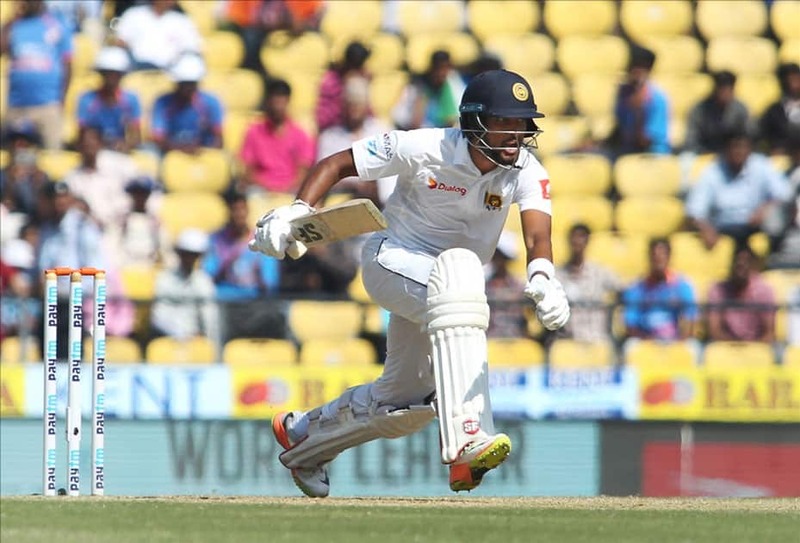 Sri Lankan skipper Dinesh Chandimal during Day 4 of the second test match between India and Sri Lanka at Vidarbha Cricket Association Stadium in Nagpur. 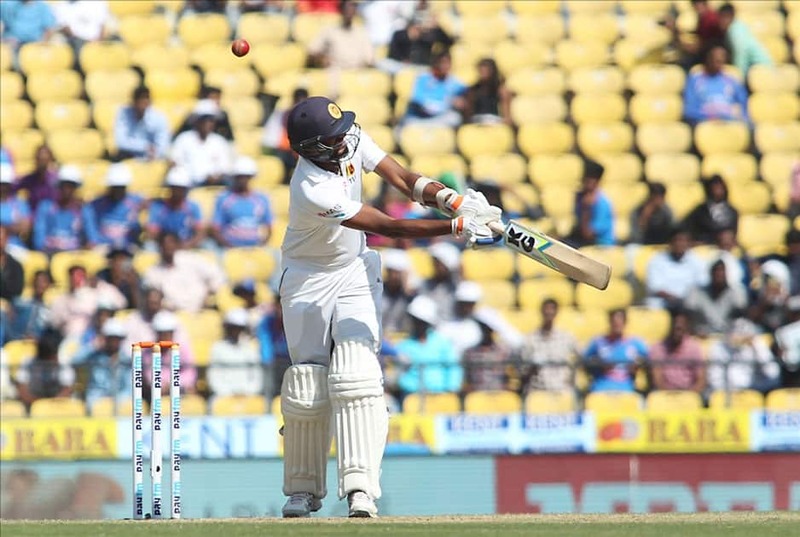 Sri Lanka's Suranga Lakmal in action on Day 4 of the second test match between India and Sri Lanka at Vidarbha Cricket Association Stadium in Nagpur. 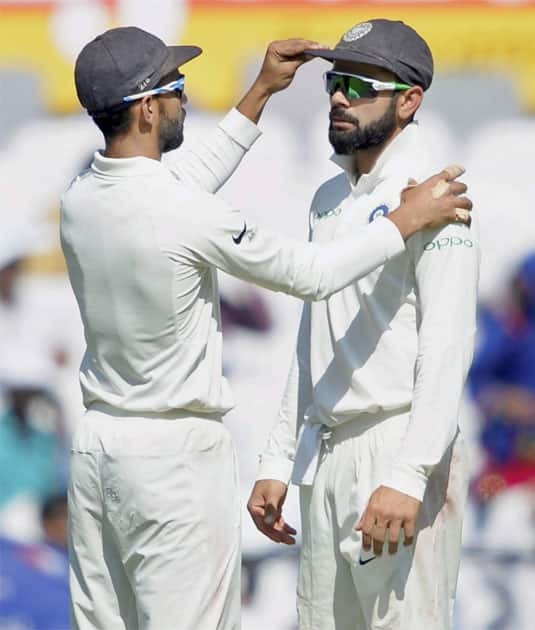 Indian captain Virat Kohli and Ajinkya Rahane during 4th day of the 2nd cricket test match against Sri Lanka in Nagpur. 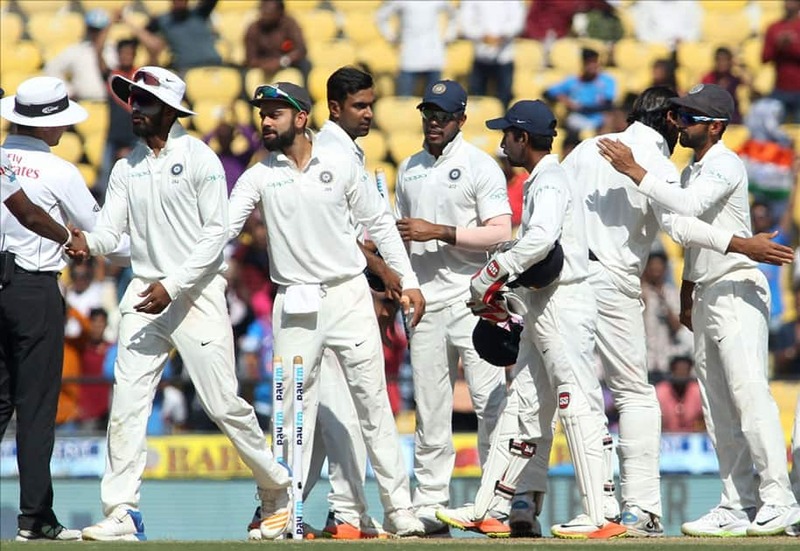 Indian skipper Virat Kohli celebrates with teammates after winning the second test match against Sri Lanka at Vidarbha Cricket Association Stadium in Nagpur. 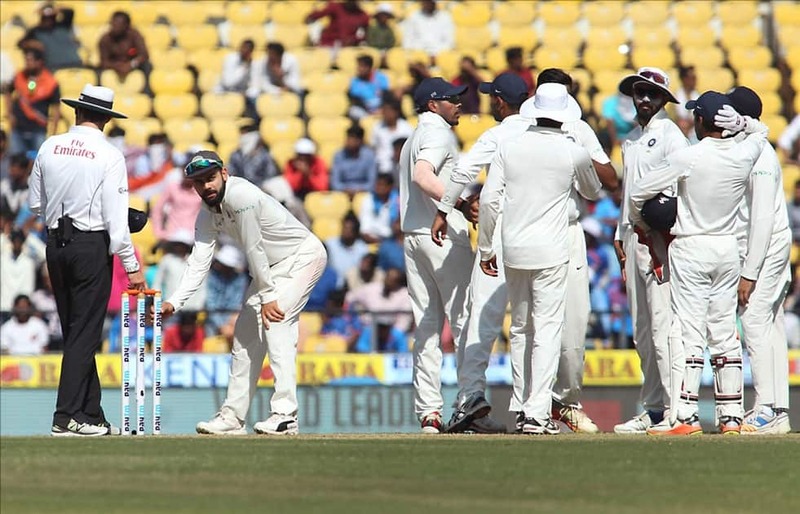 Indian skipper Virat Kohli waits for the decision of the third umpire Nigel Llong before plucking the wickets on Day 4 of the second test match against Sri Lanka at Vidarbha Cricket Association Stadium in Nagpur. 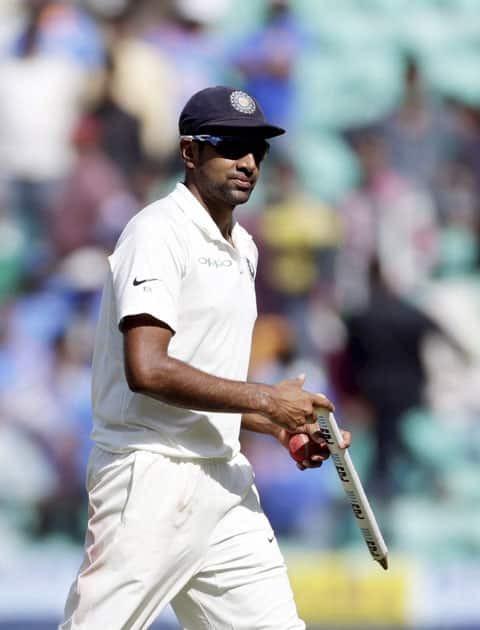 Indian bowler R Ashwin walks off the field after the end of the 2nd cricket test match against Sri Lanka in Nagpur.